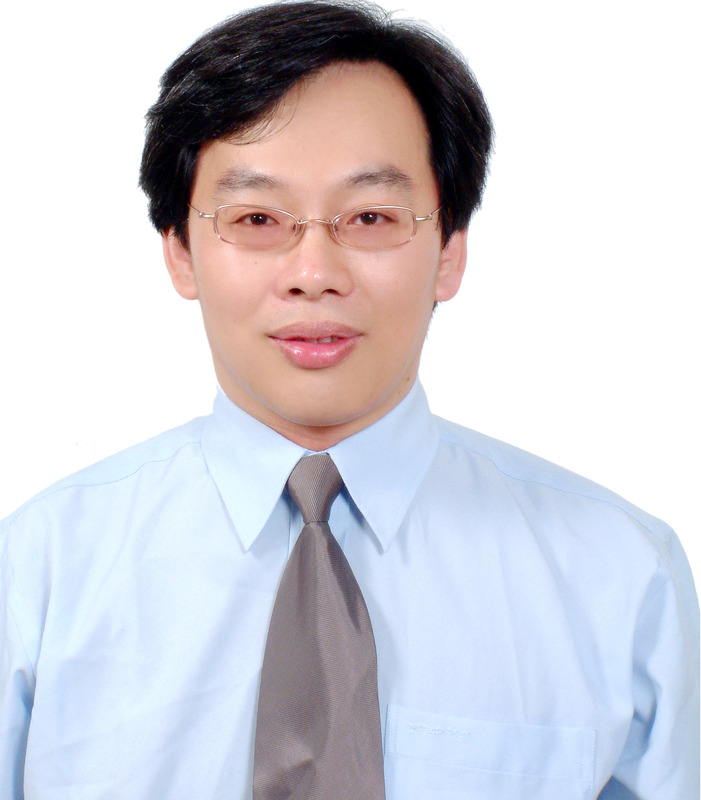 Dr. Ying-Chien Chung gained his PhD degree in environmental engineering from the National Chiao-Tung University in 1997. Professor Chung has served as Professor in the Department of Biological Science and Technology, China University of Science and Technology. He has authored over 140 papers (90 in SCI journals and 50 in Proceedings) in the past years. Among his editorial positions, he has served as editorial board member for several international journals in the fields of microbiology and environment. Professor Chung has featured widely in environmental biotechnology, applied microbiology, biosensor, biological engineering, bioremediation, microbial fuel cell and waste conversion. Professor Chung has been the recipient of numerous academic awards, grants, and fellowships, including the Who's Who in the World (2009-2015), Scientific Award of Excellence for 2011, Man of the year 2012, Cambridge Certificate for Outstanding Scientific Achievement (2012, 2015) and Top 100 Scientists (2012, 2015)ï¼›He completed 42 R&D projects funded by various Government and private agenciesï¼›He was granted 15 patents for his invention and 5 technology transfers with the enterprises. Huang, Chihpin, Chung, Y. C., and Liou, M. R. “Adsorption of Cu(II) and NI(II) by pelletized biopolymer” Journal of Hazardous Materials 1996, 45(2-3), 265-277. Chung, Y. C., Huang, Chihpin, and Tseng, C. P. “Reduction of H2S/NH3 production from pig feces by controlling environmental conditions” Journal of Environmental Science and Health 1996, A31(1), 139-155. Chung, Y. C., Huang, Chihpin, and Tseng, C. P. “Microbial oxidation of hydrogen sulfide with biofilter” Journal of Environmental Science and Health 1996, A31(6), 1263-1278. Chung, Y. C., Huang, Chihpin, and Hsu, B. M. “Hydrogen sulfide removal by immobilized autotrophic and heterotrophic bacteria in the bioreactors” Biotechnology Techniques 1996, 10(8), 595-600. Chung, Y. C., Huang, Chihpin, and Tseng, C. P. “Kinetics of hydrogen sulfide oxidation by immobilized autotrophic and heterotrophic bacteria in bioreactors” Biotechnology Techniques 1996, 10(10), 743-748. Chung, Y. C., Huang, Chihpin, and Tseng, C. P. “Operation optimization of Thiobacillus thioparus CH11 biofilter for hydrogen sulfide removal” Journal of Biotechnology 1996, 52(1), 31-38. Chung, Y. C., Huang, Chihpin, and Tseng, C. P. “Biodegradation of hydrogen sulfide by a laboratory-scale immobilized Pseudomonas putida CH11 biofilter” Biotechnology Progress 1996, 12(6), 773-778. Chung, Y. C., Huang, Chihpin, and Tseng, C. P. “Removal of hydrogen sulphide by immobilized Thiobacillus sp. strain CH11 in a biofilter” Journal of Chemical Technology and Biotechnology. 1997, 69(1), 58-62. Chung, Y. C., Huang, Chihpin, and Li, C. F. “Removal characteristics of H2S by Thiobacillus novellus CH3 biofilter in autotrophic and mixotrophic environments” Journal of Environmental Science and Health 1997, A32(5), 1435-1450. Chung, Y. C., Huang, Chihpin, and Tseng, C. P. “Biotreatment of ammonia from air by an immobilized Arthrobacter oxydans CH8 biofilter” Biotechnology Progress 1997, 13(6), 794-798. Chung, Y. C., Huang, Chihpin, Pan, J. R., and Tseng, C. P. “Advanced study of H2S removal by Thiobacillus novellus CH3 biofilter in autotrophic and mixotrophic environments” Journal of Environmental Engineering-ASCE. 1998, 124(4), 362-367. Chung, Y. C., and Huang, Chihpin “Biotreatment of ammonia in air by an immobilized Nitrosomonas europaea biofilter” Environmental Progress 1998, 17(2), 70-76. Pan J. R., Huang, Chihpin, Chen, S., and Chung, Y.C., “Evaluation of a modified chitosan biopolymer for coagulation of colloidal particles” Colloids and Surfaces A 1999, 147(3), 359-364. Chung, Y. C., Huang, Chihpin, Tseng, C.P., and Pan J. R. “Biotreatment of H2S- and NH3-containing waste gases by co-immobilized cells biofilter” Chemosphere 2000, 41(3), 329-336. Chung, Y. C., Huang, Chihpin, Liu, C. H. and Bai, Hsunling, “Biotreatment of H2S and NH3-containing waste gases by fluidized bed bioreactor” Journal of the Air and Waste Management Association 2001, 51(2), 163-172. Chung, Y. C.*, Liu, C. H, and Huang, Chihpin “Feasibility of fluidized-bed bioreactor for remediating waste gas containing H2S or NH3”, Journal of Environmental Science and Health 2001, A36(4), 509-520 . Hsu, B. M., Huang, Chihpin, Lai, Y. C., Tai, H. S. and Chung, Y. C. “Evaluation of immunomagnetic separation method for detection of Giardia at various reaction time and reaction volume” Parasitology Research 2001, 87(6), 472-474. Chung, Y. C., Huang, Chihpin, and Tseng, C. P., “Biological elimination of H2S and NH3 from wastegases by biofilter packed with immobilized heterotrophic bacteria” Chemosphere 2001, 43(8), 1043-1050. Chen, Y. M., Chung, Y. C.*, Wang, L. W., Chen, K. T. and Li, S. Y. “Antibacterial properties of chitosan in waterborne pathogen” Journal of Environmental Science and Health 2002, A37(7), 1379-1390. Chung, Y. C., Ho, K. L., and Tseng, C. P. “H2S gas treatment by a chemical-biological process” Journal of Environmental Science and Health 2003, B38(5), 663-679. Chen, W. H. and Chung, Y. C. “Transient mass transfer and vortex bifurcation of an aerosol droplet in motion” Aerosol Science and Technology, 2003, 37(1), 1-19. Chou, H. N., Chung, Y. C., and Chen, C. Y. “Evidence of paralytic shellfish poisoning toxin in milkfish in south Taiwan” Food Additives & Contaminants, 2003, 20(6),560-565. Chung, Y. C.*, Wang, H. L., Chen, Y. M. and Li, S. L.“Effect of abiotic factors on the antibacterial activity of chitosan against waterborne pathogens”. Bioresource technology, 2003, 88(3), 179-184. Chung, Y. C., Lin, Y. Y., and Tseng, C. P., Operational characteristics of effective removal of H2S and NH3 waste gases by activated carbon biofilter”. Journal of the Air & Waste Management Association, 2004, 54(4), 450-458. Chung, Y. C., Lin, Y. Y., and Tseng, C. P., Control of H2S waste gas emissions with a biological activated carbon filter.” Journal of Chemical Technology and Biotechnology, 2004, 79(6), 570-577.